YOUR USE OF AND ACCESS TO THE SERVICES (AS DEFINED BELOW) ARE SUBJECT TO THE FOLLOWING TERMS; IF YOU DO NOT AGREE TO ALL OF THESE TERMS, DO NOT USE OR ACCESS THE SERVICES. (3) any products, services, and applications made available through the Website or the Peak App (together with the Website and the Peak App, the “Services”). (4) For purposes of these Terms, “Business Day” means Monday through Friday, excluding federal banking holidays. (5) “You” and “your” mean the person who uses or accesses the Services. (6) “We,” “us,” and “our” mean Peak and its successors, affiliates, and assignees. As used in these Terms, “Peak Account” means the account you have with us for the Services. THESE TERMS INCLUDE, AMONG OTHER THINGS, YOUR AUTHORIZATION FOR DEBITS AND CREDITS FROM AND TO YOUR BANK ACCOUNT (AS DEFINED BELOW) VIA THE AUTOMATED CLEARING HOUSE NETWORK (“ACH”). Funds in your Peak Account are bank insured up to $250,000. For purposes of applicable FDIC deposit insurance limitations, please note that deposits may not be separately insured from any other deposit accounts you may have with Axos Bank. 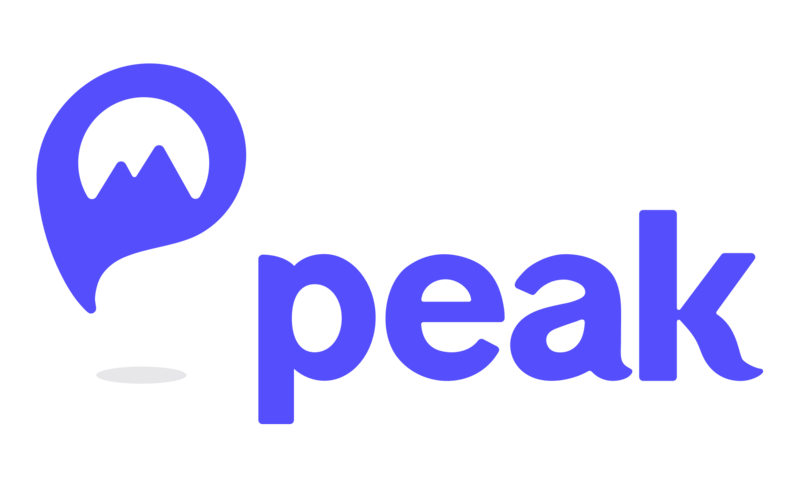 Peak agrees to make commercially reasonable efforts to keep the Peak App available all the time but understands connectivity may be impacted for a variety of reasons. Peak will make good faith efforts to limit outages and notify you if there is an ongoing unscheduled lack of availability. Peak is not liable for a loss of connectivity. To the extent permitted by applicable law, you consent to use electronic signatures and to electronically receive all records, notices, statements, communications, and other items for all services provided to you under these Terms and in connection with your relationship with us (collectively, “Communications”) that we may otherwise be required to send or provide you in paper form (e.g., by mail). By accepting and agreeing to these Terms electronically, you represent that: (1) you have read and understand this consent to use electronic signatures and to receive Communications electronically; (2) you satisfy the minimum hardware and software requirements specified below; and (3) your consent will remain in effect until you withdraw your consent as specified below. In order to ensure that we are able to provide Communications to you electronically, you must notify us of any change in your email address and your mobile device number or other text message address by updating your profile on the Peak App. You should print and save and/or electronically store a copy of all account-related Communications that we send to you electronically. In order to use the Services, you must provide and verify your mobile device number or other text message address to us. You must provide a valid email address to us for us to provide notices via email about the Services. To verify your mobile device number text message address or email address, we may send you a code via text message to the mobile device number, text message address or email address you provide, and you must enter that code as instructed by us. Moreover, if you provide your email address to us, we may send you important notices via email about the Services. If you change your mobile device number or email address, you must promptly provide and verify your new mobile device number or email address. Use of the Services requires that you confirm your authorization to being contacted by text or by email so that we can send you important notices about the Services. Your consent to receive Communications electronically will remain in effect until you withdraw it. You may withdraw your consent to receive further Communications electronically at any time by contacting us at hello@peakmoney.com. If you withdraw your consent to receive Communications electronically, we will close your Peak Account and Peak will return the balance in your Peak Account to Your Bank Account as set forth in these Terms, and you will no longer be able to use your Peak Account or Peak Account or the Services, except as expressly provided in these Terms. Any withdrawal of your consent to receive Communications electronically will be effective only after we have a reasonable period of time to process your withdrawal. Please note that withdrawal of your consent to receive Communications electronically will not apply to Communications electronically provided by us to you before the withdrawal of your consent becomes effective. You agree that Peak may send text messages or call the phone number listed on your Peak account which could result in charges to you and that you will be solely financially responsible. Moreover, you agree that Peak can send email messages to you at any email address you provide, and may use other electronic means of communication to the extent permitted by law. Your consent may be revoked at any time by contacting Peak at hello@peakmoney.com; however, you acknowledge that revoking your consent could result in your Peak Account being closed and funds in your Peak Account being returned to you. (7) a printer to print out and save Communications in paper form or electronic storage to retain Communications in an electronic form. “Current Version” means a version of the software that is currently being supported by its publisher. We reserve the right, in our sole discretion, to communicate with you in paper form and/or to discontinue the provision of electronic Communications or to terminate or change the terms and conditions on which we provide electronic Communications. Except as otherwise required by applicable law, we will notify you of any such termination or change by updating these Terms on the Website and the Peak App or delivering notice of such termination or change electronically. Debits and credits transactions submitted may not necessarily occur on the same Business Day based on the overall volume of transactions and time of day. You acknowledge that the electronic authorization contained in this Section represents your written authorization for ACH transactions as provided herein and will remain in full force and effect until you notify Peak that you wish to revoke this authorization by deactivating your account. The Peak Account offers a 14-day free trial. The 15th day of your Peak Account becomes your monthly fee (“Monthly Fee”) date. On your Monthly Fee date, Peak will debit Your Bank Account pursuant to your ACH authorization provided with acceptance of these Terms. Any erroneous debits will be credited to Your Bank Account. Fee information is kept current here. If the date of the Monthly Fee falls on a non-Business Day, the Monthly Fee is automatically deducted on the closest following Business Day. If Your Bank Account does not have sufficient funds to cover the Monthly Fee, we will attempt to notify you and your Peak Account may be debited. If there are insufficient funds to in Your Bank Account and your Peak Account, we reserve the right to deactivate your account at our sole discretion. The Monthly Fee is non-refundable, except as otherwise required by applicable law. We may change the amount, frequency, and debit date of the Monthly Fee from time to time at our discretion. We will notify you in advance of any change to the Monthly Fee by sending you an email, by posting a notice on the Website and the Application, and/or by any other method permitted by applicable law. By accessing or using the Services after any change to the Monthly Fee takes effect, you agree to pay the Monthly Fee, as modified. To ensure a scheduled ACH transactions is cancelled, you must cancel the transaction three (3) Business Days to cancel this authorization. If an email request is provided within two (2) Business Days, Peak will attempt to cancel the debit transaction. Peak does not assume any responsibility for failure to cancel a scheduled transaction. Withdrawal of your authorization contained in this Section shall be authorization for us to close your Peak Account and return the balance of funds to Your Bank Account as set forth in these Terms, and you will no longer be able to use your Peak Account. The withdrawal of your authorization contained in this Section will not apply to ACH transactions performed before the withdrawal of your authorization becomes effective. (c) the ACH transactions you hereby authorize comply with applicable law. The purpose of the Services is to try to help you save money with minimal effort. Peak reserves the right to use feedback from you in developing product features. You authorize Peak to transfer funds from Your Bank Account to your Peak Account via ACH based on the amounts you choose to save on a one-time and/or recurring basis, and based upon your ACH authorization provided above. Only funds from Your Bank Account may be transferred to your Peak Account. Your funds will remain in your Peak Account until you instruct us to transfer any or all of your funds using the Peak App. Peak will transfer the requested funds from your Peak Account to Your Bank Account, which generally takes two Business Days from the time a request to withdraw funds is received. Transferred funds from your bank are made available to withdraw after three (3) Business Days. Only the amount of available funds in your Peak Account are available to transfer from your Peak Account to Your Bank Account. If you do not have sufficient available funds in your Peak Account to cover the amount of the requested transfer, your request will be declined and you will be able to adjust the amount. Funds from your Peak Account to Your Bank Account will be moved without additional notice to you upon the closure of your Peak Account as described below and at any time if required by applicable law or if we, in our sole discretion, suspect the Services are being used for illicit purposes or otherwise in violation of these Terms. You may not use the funds in your Peak Account to make purchases, withdraw cash, transfer funds to third parties, or for any other purpose. You are solely responsible for determining whether the funds debited from Your Bank Account and the funds maintained in your Peak Account are acceptable to you. We are not responsible for any third-party fees that may be incurred as a result of using the Services, including, but not limited to, third-party fees incurred as a result of maintaining insufficient funds in Your Bank Account. Peak is not a depository institution, money transmitter or financial advisor. The Services are not intended to provide financial advice. You are responsible for ensuring Your Bank Account has sufficient funds for your needs, purposes, or transactions and Peak makes no representations, warranties, or guarantees that your Peak Account will grow to a specific amount or that the Services are appropriate for you. Before using the Services, you should consider obtaining additional information and advice from a financial adviser. You may obtain information about the balance of funds in your Peak Account at any time by logging into your Peak Account on the Peak App. By agreeing to these Terms you will transfer and assign Peak any and all rights to any interest that may accrue on funds held by Peak. The interest may be distributed in different ways, for example, rewarding achievements, a quarterly reward, or monthly fee reimbursement, at the sole discretion of Peak. This applies only to any interest earned on your funds, and nothing in these Terms grants Peak rights to your principal funds. If you suspect or become aware of any unauthorized activity or access to your username, password, or mobile device, you must contact us immediately; or if your mobile device is lost or stolen; or if you suspect someone has gained unauthorized access to your username or password; contact us immediately at hello@peakmoney.com. In order to take any action, you will need to provide personal information for us to verify your identity. Except as otherwise required by applicable law, you are responsible for all transactions and other activities authorized or performed using your username and password or mobile device, whether authorized or unauthorized by you. Except as otherwise expressly stated in these Terms or required by applicable law, we are not responsible for any losses arising out of the loss or theft of your User Information or your mobile device or from unauthorized or fraudulent transactions associated with Your Bank Account or your Peak Account. Because email communications are not always secure, please do not include personal information (eg. Your Bank Account number) or other sensitive data in email. You agree not to authorize any other person or entity to use your user name and password or mobile device to access the Services. You are solely responsible for the maintenance, confidentiality, and security of your username, password, and other User Information. (m) run Maillist, Listserv, any form of auto- responder or “spam,” or any processes that run or are activated while you are not logged in to access the Services. We may, but are not obligated to, monitor your use of the Services and Content. The Services and the features, information, materials, and content provided and depicted through the Services (collectively, “Content”) are provided solely for your personal use for the purposes described therein and in these Terms. Any and all other uses are prohibited. You may not restrict or inhibit any other person from using or enjoying the Services or Content. You agree there is no grant of any licenses, express or implied, to any intellectual property or the intellectual property of our licensors, unless expressly stated in these Terms. We and our third-party licensors retain all right, title, and interest in and to the Services, Content, and any associated patents, trademarks, copyrights, mask work rights, trade secrets, and other intellectual property rights. The Services and Content are protected by copyright, trademark, patent, and other intellectual property laws. All rights and remedies under applicable law. Except as expressly provided by these Terms or with our prior written consent, you may not use, modify, disassemble, decompile, reverse engineer, reproduce, distribute, rent, sell, license, publish, display, download, transmit, or otherwise exploit any Content in any form by any means. To the extent permitted by applicable law, we may, in our sole discretion and without liability to you, terminate (or suspend access to) your use of the Services, Content, your Peak Account including your access to your Peak Account for any reason, including, but not limited to, your breach of these Terms. The Services may contain links or connections to third-party websites or services that are not owned or operated by us or our third-party service providers or licensors. We provide such links and connections for your reference only. We do not control such third-party websites or services and are not responsible for their availability or content. Our inclusion of such links and connections does not imply our endorsement of such third-party websites or services or any association with their owners or operators. You may stop using the Services at any time, close your Peak Account, and cancel these Terms at any time by Deactivating your account in the Peak App. If there are any pending transactions when we receive your deactivation notice, we will close your Peak Account promptly after such transactions are completed. Your termination of these Terms will not affect any of our rights or your obligations arising under these Terms prior to termination. Upon the deactivation of your Peak Account, any funds in your Peak Account will be transferred to Your Bank Account. If Your Bank Account is closed or we are otherwise unable to transfer the funds in your Peak Account to Your Bank Account, we will attempt to contact you to resolve distribution of the remaining funds, which may include, but is not limited to, mailing a check to a verifiable US mailing address. If you do not use the Services for a certain period of time, applicable law may require the Peak to report the funds in your Peak Account as unclaimed property, which will then be accessible to you by contacting the applicable state. The specified period of time to report and deliver funds to a state varies by state, but usually ranges between two and five years. TO THE FULLEST EXTENT PERMITTED BY APPLICABLE LAW AND EXCEPT AS OTHERWISE EXPRESSLY PROVIDED IN THESE TERMS, YOU EXPRESSLY UNDERSTAND AND AGREE THAT YOUR USE OF THE SERVICES AND ALL INFORMATION, PRODUCTS, AND OTHER CONTENT (INCLUDING THAT OF THIRD PARTIES) INCLUDED IN OR ACCESSIBLE FROM THE SERVICES IS AT YOUR SOLE RISK. THE SERVICES ARE PROVIDED ON AN “AS IS” AND “AS AVAILABLE” BASIS WITHOUT ANY WARRANTY OF ANY KIND. TO THE MAXIMUM EXTENT PERMITTED BY APPLICABLE LAW, WE AND OUR THIRD-PARTY SERVICE PROVIDERS EXPRESSLY DISCLAIM ANY AND ALL CONDITIONS, REPRESENTATIONS, AND WARRANTIES OF ANY KIND AS TO THE SERVICES AND ALL INFORMATION, PRODUCTS, AND OTHER CONTENT (INCLUDING THAT OF THIRD PARTIES) INCLUDED IN OR ACCESSIBLE FROM THE SERVICES, WHETHER EXPRESS, IMPLIED, STATUTORY, OR OTHERWISE, INCLUDING, BUT NOT LIMITED TO, ANY IMPLIED WARRANTY OF MERCHANTABILITY, FITNESS FOR A PARTICULAR PURPOSE, AND NON-INFRINGEMENT. TO THE FULLEST EXTENT PERMITTED BY APPLICABLE LAW, YOU AGREE THAT PEAK, ITS AFFILIATES, AND ITS AND THEIR RESPECTIVE EMPLOYEES, OFFICERS, DIRECTORS, AGENTS, AND THIRD-PARTY SERVICE PROVIDERS WILL NOT BE LIABLE TO YOU OR ANY THIRD PARTY FOR (A) THE PERFORMANCE OF THE SERVICES OR THE INABILITY TO USE THE SERVICES; (B) ANY INDIRECT, INCIDENTAL, SPECIAL, CONSEQUENTIAL, PUNITIVE, OR EXEMPLARY DAMAGES, WHETHER BASED IN CONTRACT, TORT, OR OTHERWISE, INCLUDING, BUT NOT LIMITED TO, DAMAGES FOR LOSS OF PROFITS, GOODWILL, USE, DATA, OR OTHER INTANGIBLE LOSSES, EVEN IF SUCH PERSONS HAVE BEEN ADVISED OF THE POSSIBILITY OF SUCH DAMAGES, WHICH ARISE OUT OF OR ARE IN ANY WAY CONNECTED WITH THESE TERMS, THE SERVICES, OR CONTENT; (C) ANY AMOUNT, IN THE AGGREGATE, IN EXCESS OF THE GREATER OF $100 OR THE AMOUNT TRANSFERRED FROM YOUR BANK ACCOUNT TO YOUR PEAK ACCOUNT VIA THE SERVICES; OR (D) ANY EVENT BEYOND OUR REASONABLE CONTROL. SOME STATES DO NOT ALLOW THE EXCLUSION OR LIMITATION OF CERTAIN DAMAGES, SO THE ABOVE LIMITATION AND EXCLUSIONS MAY NOT APPLY TO YOU. At our request, you agree to defend, indemnify, and hold harmless Peak, our affiliates, and our respective employees, officers, directors, agents, and third-party service providers from and against any and all claims, suits, liabilities, damages (actual and consequential), losses, fines, penalties, costs, and expenses (including reasonable attorneys’ fees) arising from or in any way related to any third-party claims relating to your use of the Services, violation of these Terms, applicable law or any third-party rights, or your fraud or willful misconduct. Such indemnified parties reserve the right to assume the exclusive defense and control of any matter subject to indemnification by you, in which event you will cooperate in asserting any available defenses. You may not transfer, assign, or delegate these Terms or your rights or obligations hereunder or your Peak Account in any way (by operation of law or otherwise) without our prior written consent. To the extent permitted by applicable law, we may transfer, assign, or delegate these Terms and our rights and obligations hereunder without your consent. You agree that our third-party services providers are third-party beneficiaries of the applicable provisions of these Terms, with all rights to enforce such provisions as if such service providers were a party to these Terms. These Terms are made under and will be governed by and construed in accordance with the laws of the State of Tennessee, consistent with the Federal Arbitration Act, without giving effect to any principles that provide for the application of the law of another jurisdiction. In conjunction with your access or use of the Services, you may be subject to additional terms, rules, policies, and conditions that are posted on the Website or the Peak App, including, but not limited to, terms and conditions for our referral or rewards programs (the “Additional Terms”), which are hereby incorporated by reference into these Terms. In the event of a conflict between any Additional Terms and these Terms, these Terms will control. If you submit User Content, and unless we indicate otherwise, you grant us a nonexclusive, perpetual, royalty-free, irrevocable, and fully sub licensable (through multiple tiers) right to use, modify, reproduce, adapt, translate, publish, create derivative works from, distribute, display, and otherwise exploit such User Content throughout the world in any media. We take no responsibility and assume no liability for any User Content submitted by you or any other user or third party. You will be responsible for paying, withholding, filing, and reporting all taxes, duties, and other governmental assessments associated with your activity in connection with the Services, provided that we may, in our sole discretion, do any of the foregoing on your behalf or for ourselves. The failure of either you or us to exercise, in any way, any right herein will not be deemed a waiver of any further rights hereunder. If any provision of these Terms is found to be unenforceable or invalid, that provision will be limited or eliminated, to the minimum extent necessary, so that these Terms will otherwise remain in full force and effect and enforceable. These Terms may be amended or terminated at any time, at our sole discretion, subject to applicable law. We reserve the right, subject to applicable law, to deliver to you any notice of changes to existing terms or the addition of new terms by posting an updated version of these Terms on the Website and in the Peak App or delivering notice thereof to you electronically via email. You are free to decide whether or not to accept a revised version of these Terms, but accepting these Terms, as revised, is required for you to continue accessing or using the Services. If you do not agree to these Terms or any revised version of these Terms, your sole recourse is to terminate your access or use of the Services. Except as otherwise expressly stated by us, your access and use of the Services are subject to, and constitute your acceptance of, the version of these Terms in effect at the time of your access or use. If you have any questions, comments, or concerns regarding these Terms or the Services, please contact us at hello@peakmoney.com or Peak Financial, LLC, PO Box 5698, Chattanooga, TN 37406.